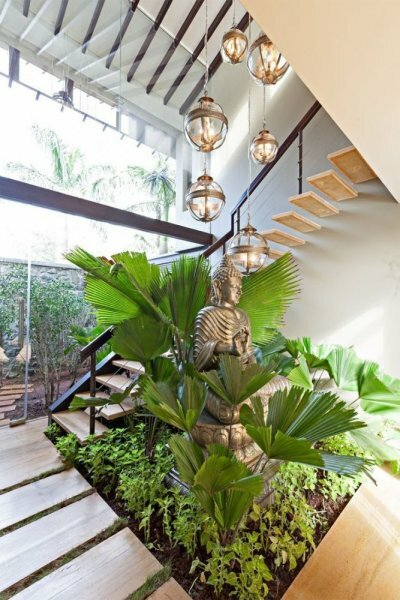 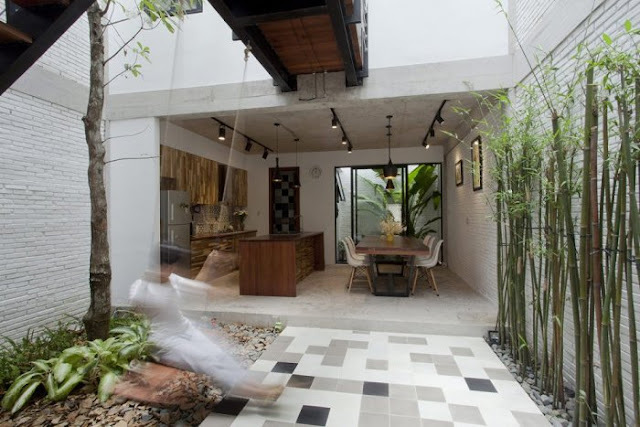 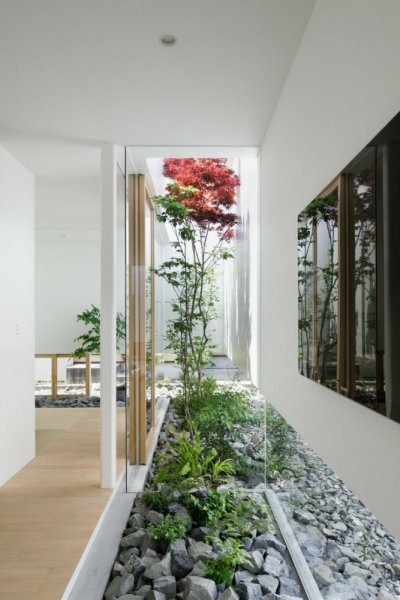 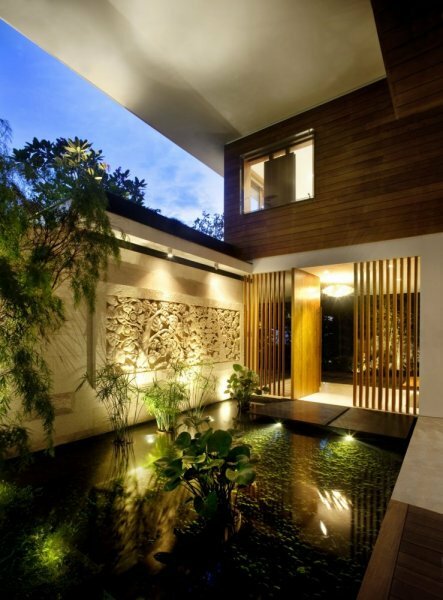 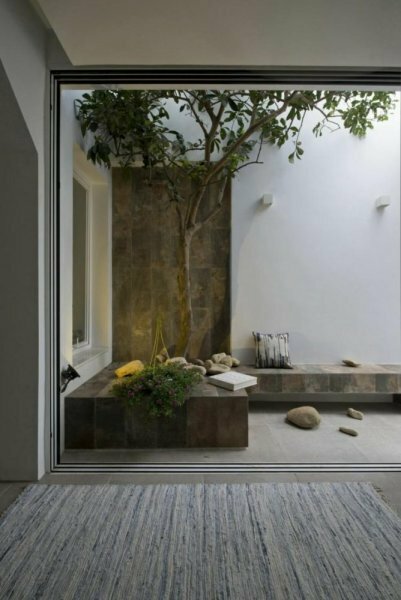 The interior gardens are distinctive designs in homes that make them in harmony with nature and as if built within a garden, not the other way round. 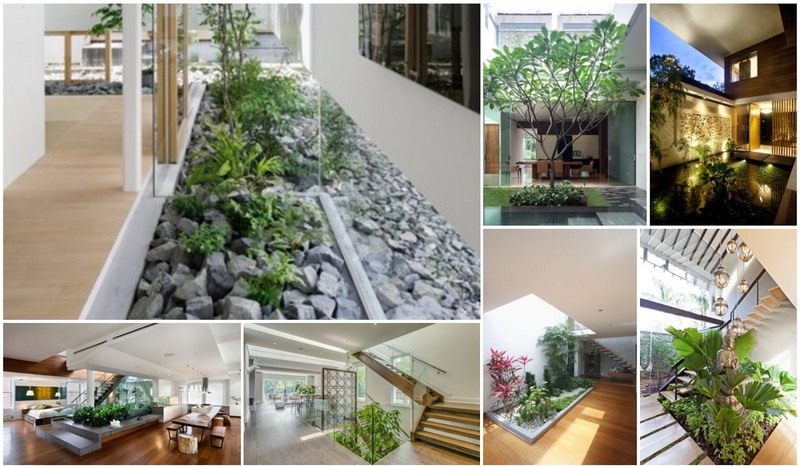 There are many forms for the design of indoor home gardens, some of which are under the roof can be moved and can be opened and closed according to need and desire and the weather is volatile and sometimes the outer garden becomes internal. 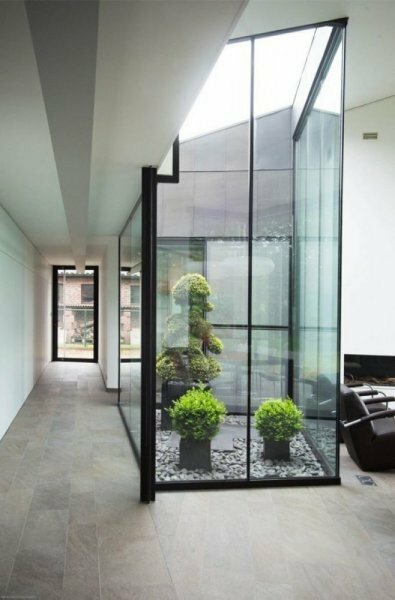 Including within the vacuum of the glass-roofed house in certain parts of it that allow sunlight to reach them. 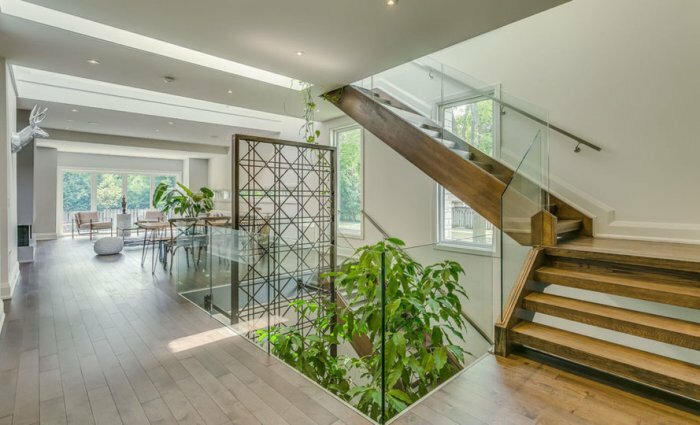 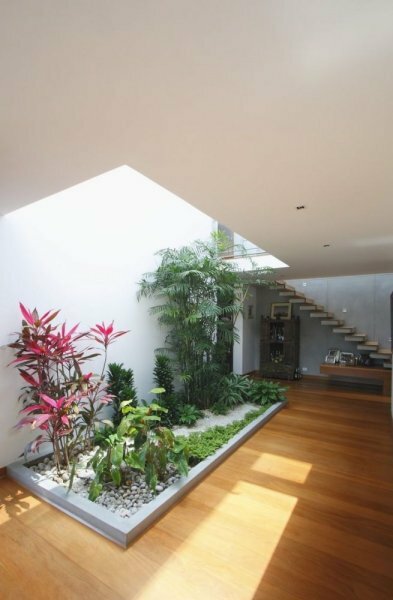 Near the stairs: Because the space of stairs in the houses of the floor often leaves an area in the middle empty, become more beautiful when you benefit from the design of a small garden you enjoy the view while using the stairs. 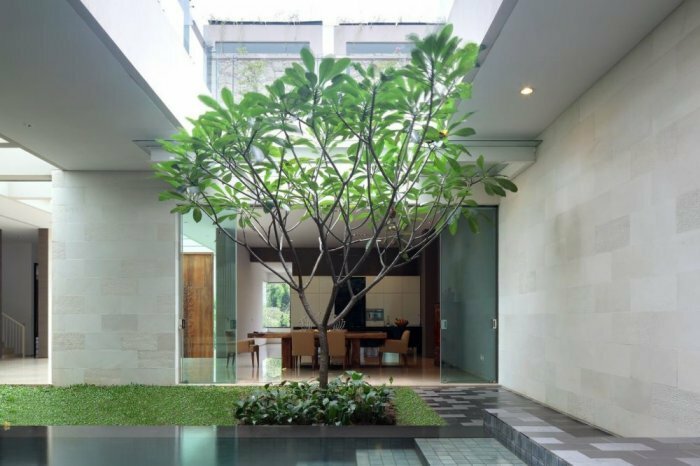 In the center of the house: When the rooms are distributed around this space, which has become a garden spread around the rooms and overlooking all of them to enjoy it from all directions. 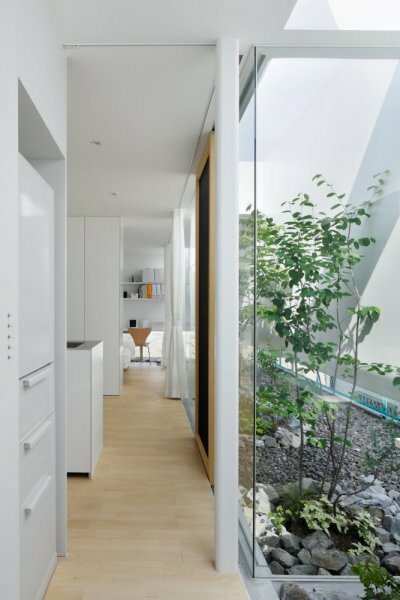 Between Rooms: Separate two rooms. 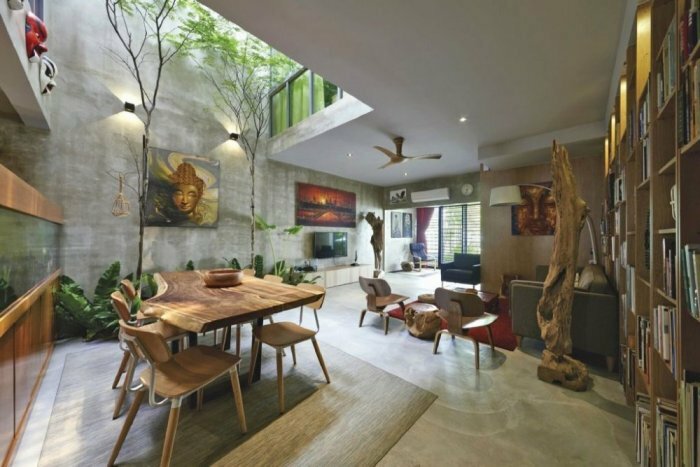 Inside the sitting rooms: with a glass ceiling where we can see a small garden with a tree or more a set of green plants. 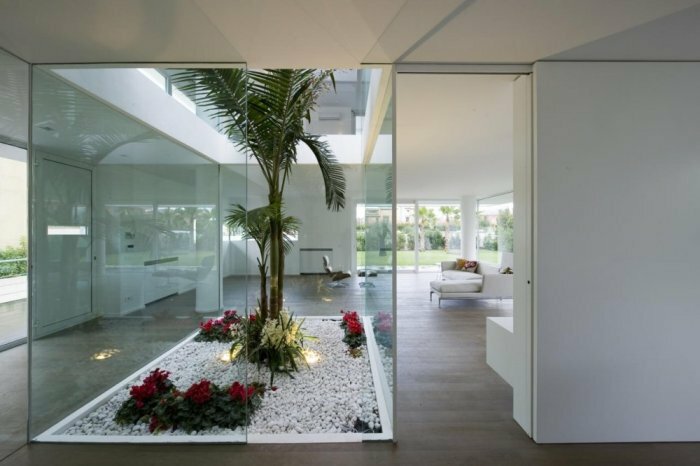 - It is not a beautiful landscape to enjoy it from the rooms of the house surrounding or overlooking. 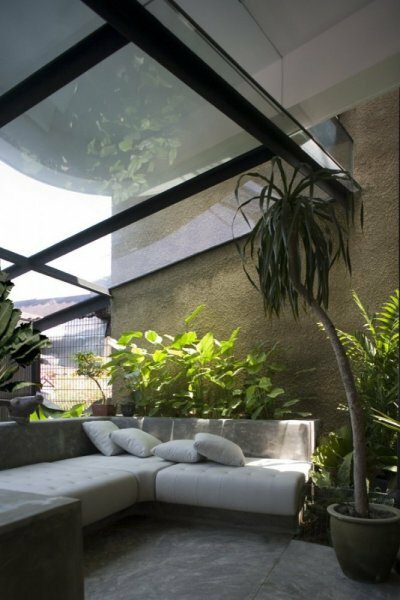 - It is accompanied by small sessions to relax and enjoy sitting in it. 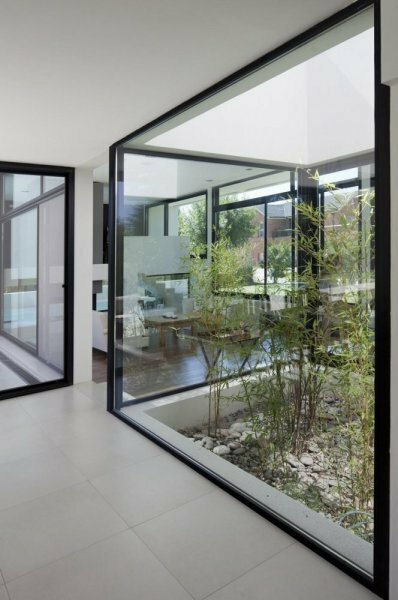 We chose a collection of pictures of houses that relied on the interior gardens as part of their distinctive interior decor.